Avraham’s blessing was that that everyone loved him and respected him. He was able to build bridges and inspire everyone whom he encountered. Three thousand years later, we must continue to inspire. We must strive to be pure of character, commit good deeds, be honest, and help those in need. We must remain steadfast in our devotion, and seek to be a light unto the nations. We must overcome hate by spreading love and kindness. 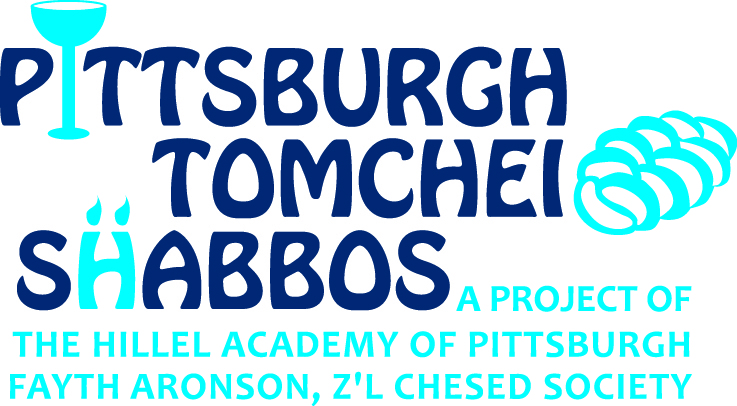 May this D’var Torah uplift the souls of Joyce Fienberg o.b.m, Richard Gottfried, o.b.m, Rose Mallinger, o.b.m, Jerry Rabinowitz, o.b.m, Cecil Rosenthal o.b.m, David Rosenthal o.b.m., Bernice Simon o.b.m, Sylvan Simon o.b.m, Daniel Stein o.b.m, Melvin Wax o.b.m, and Irving Younger o.b.m. In this issue of the Hillel Happenings you will read various accounts and details of our experiences this past week. 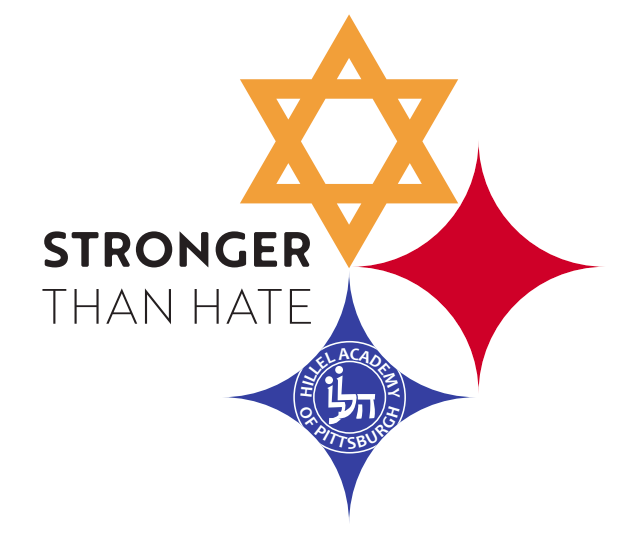 Hopefully, we never have another week like this again, but like I wrote the other day, I have never been more grateful to be a part of the Hillel Family and the Pittsburgh Jewish Community. As we continue to mourn and grapple with the sense of loss we are feeling, I am inspired that we have so much support from within our community and from around the world and I am in awe of our students and faculty. Amidst our mourning and sorrow, this week I saw hope, love, kindness, and inspiration. Sometimes, we would like to turn back the clock, but we can’t. 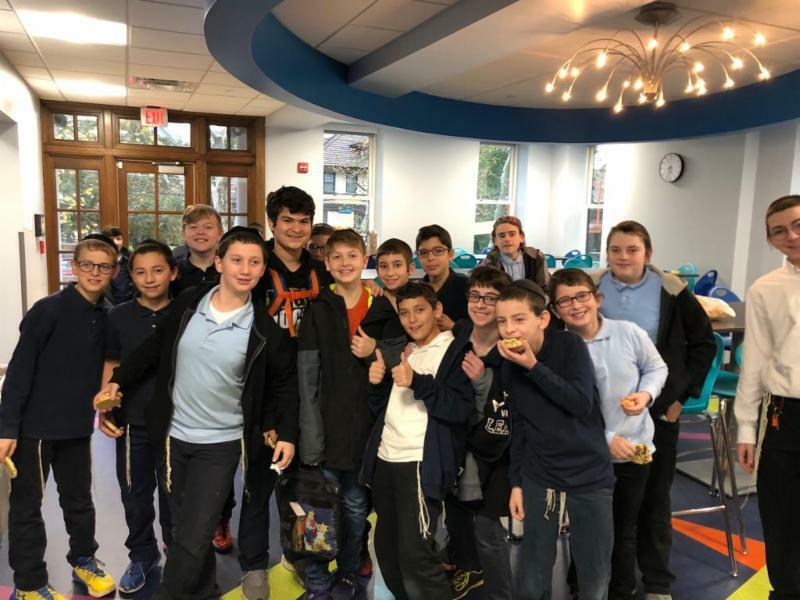 Here, the Seventh Grade class which counts Nate Itskowitz among its members, poses for a celebratory group photo before Nate’s Bar Mitzvah. 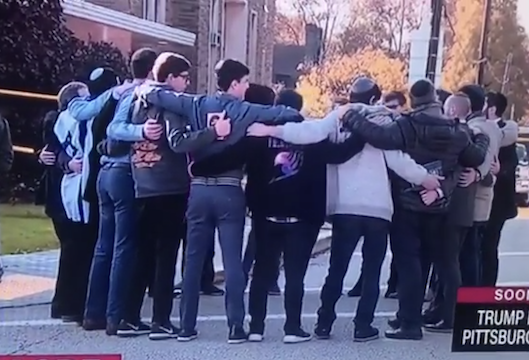 Many in the community have praised Nate’s incredible poise as he continued leading with his Torah portion at Shaare Torah while events unfolded around him. 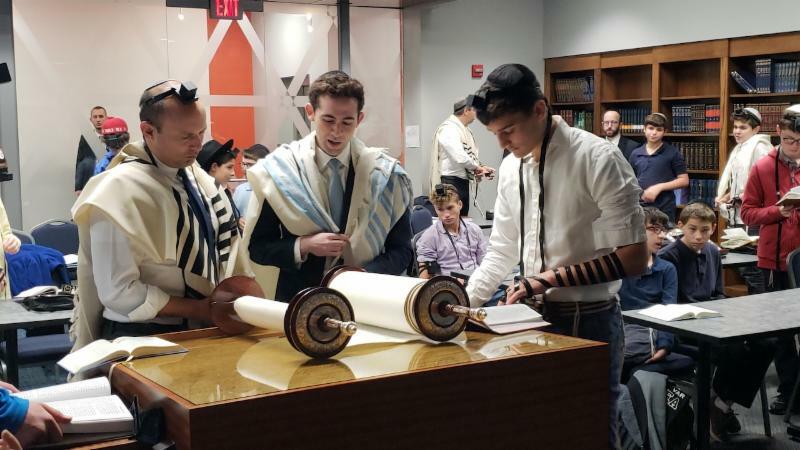 We are proud of the way Nate and everyone in the Hillel family and the Pittsburgh Jewish community at large has shown the world that we are, as we have always been, a people who are everything they say we are: kind, welcoming, compassionate, friendly, neighborly, and strong. These are values that Hillel Academy instills in all of its students, and which we carry with us to all corners of the world. 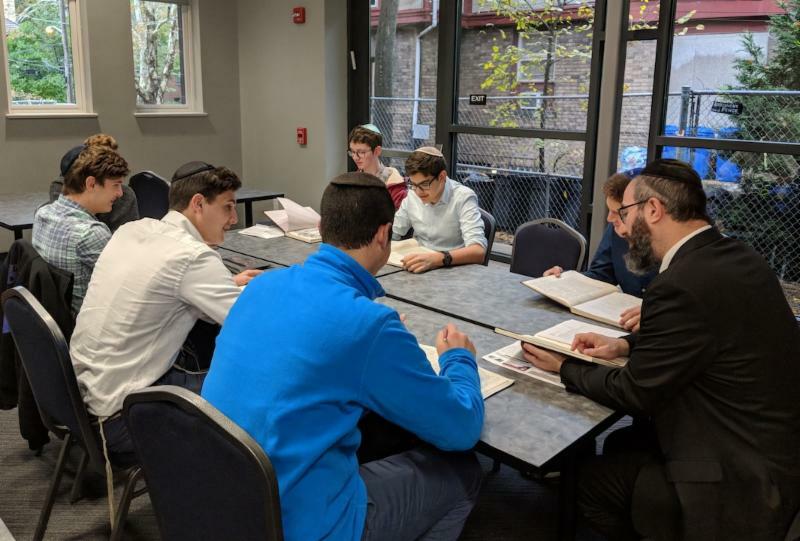 Rabbi Smith learns with High School Boys in the calm environs of the Donald and Chantze Butler Beit Midrash. 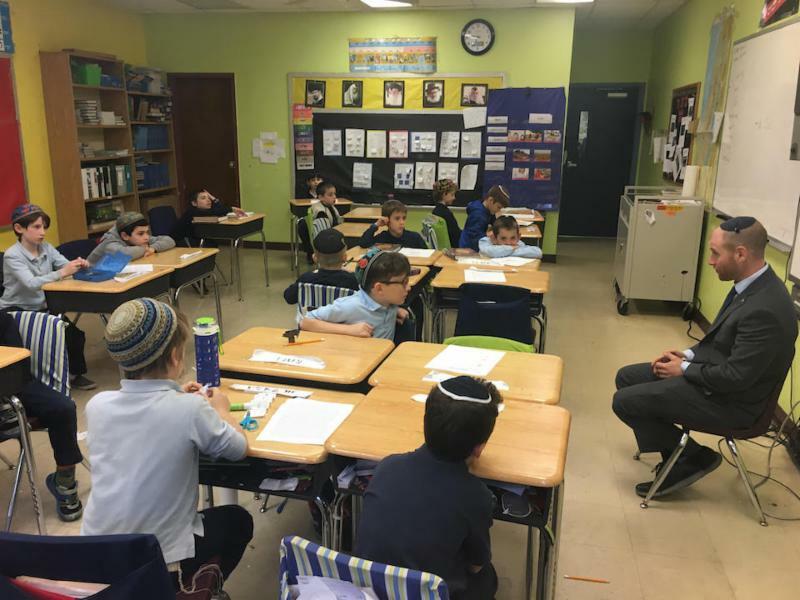 Rabbi Weinberg talks to students about the tragedy, listening to their responses and talking about the difficult task of putting emotions into words. 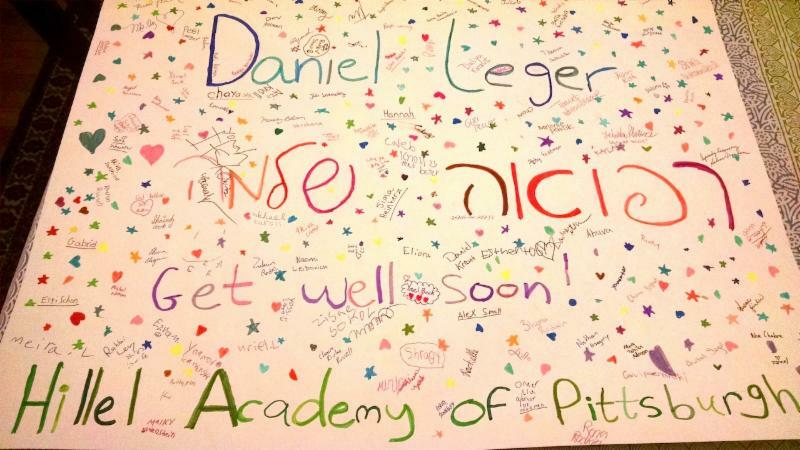 Students delivered a huge signed card for our dear friend and neighbor, Mr. Daniel Leger, who is recovering in hospital. We are grateful to all the law enforcement officers and security guards who have kept careful watch over our school and community. We are also indebted to Officer Anthony Sage, who chose to be with us on Monday, and who has continued to help oversee our safety. 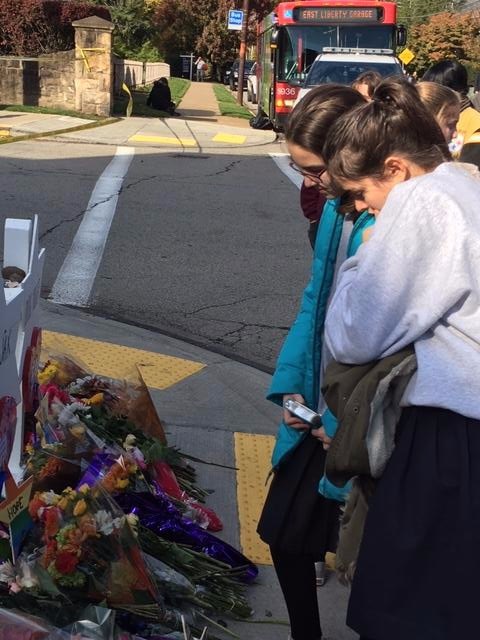 This week saw many visitors coming through Hillel Academy’s doors to offer their support during this difficult time. We appreciate their presence and heartfelt words. 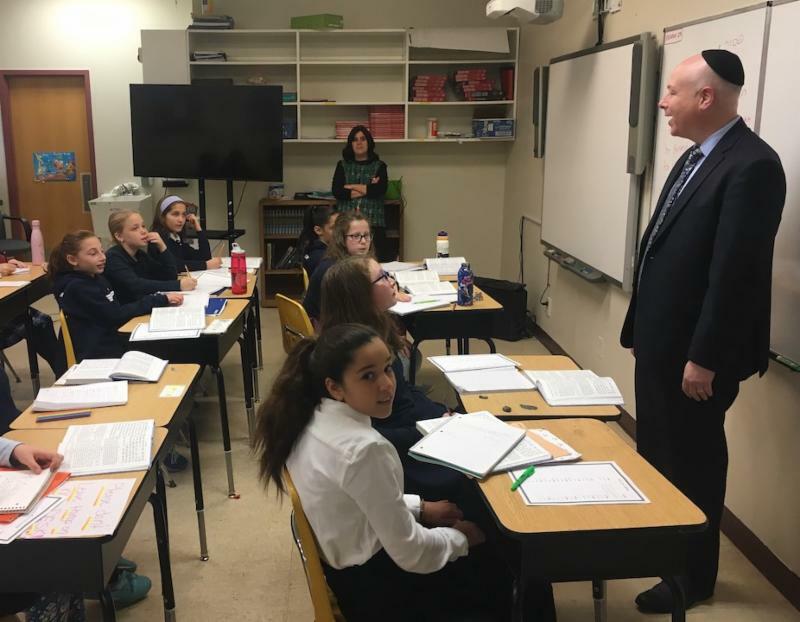 The Israeli Minister of Diaspora Affairs Neftali Bennet visited the school and davened with the Middle and High School Boys. Visitors Jason Greenblatt, Assistant to President Trump, and Dani Dayan, Israel’s Consulate General of New York, offered support. 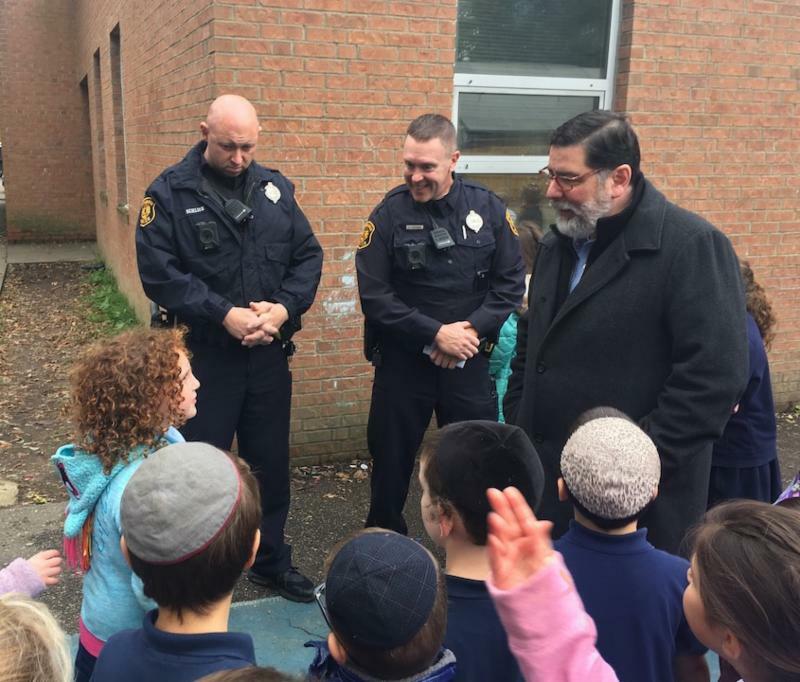 Pittsburgh Mayor Bill Peduto came to Hillel Academy to meet with students and introduce them to police officers whose presence we will all see more regularly. 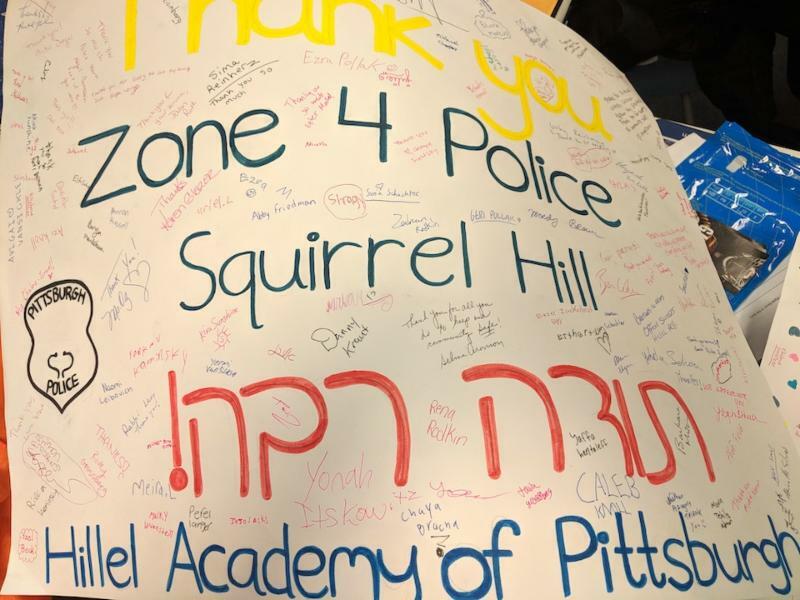 The things that make Squirrel Hill a unique community are really coming into play with the aftermath of the tragedy this past weekend. Everywhere you look, people are embracing and comforting one another. On the windows of just about every store and restaurant, specifically on the main streets like Forbes and Murray, there are signs supporting the Jewish community, as we try to persevere and strengthen ourselves during this painful time. 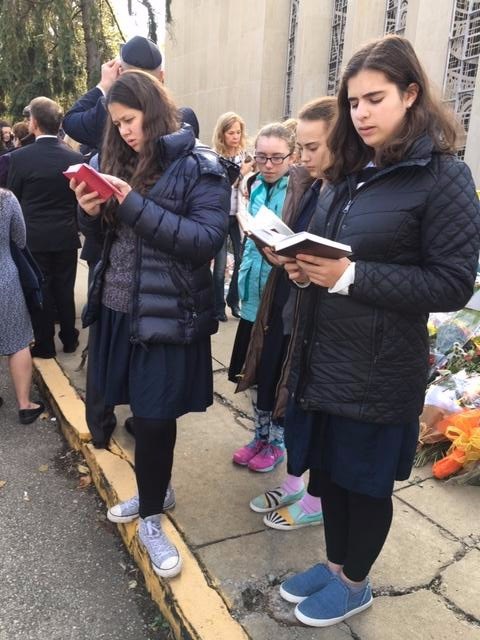 On Tuesday, the girls in grades 8 through 12 went to daven Mincha at Tree of Life. The mood there was indescribable. It was so surreal to see a landmark of the community becoming a national name. Going and seeing it in person made it seem even more realistic — this happened to us , and it happened to us in our neighborhood and in our community. There were throngs of people there when we went; singing, hugging, and providing hope for each other in this dark time. This was inspiring but not a surprise at all, because Pittsburgh has been, and always will be, a community full of unity and strength. As we walked up to Tree of Life, dozens of policemen were blocking the streets in complete silence. 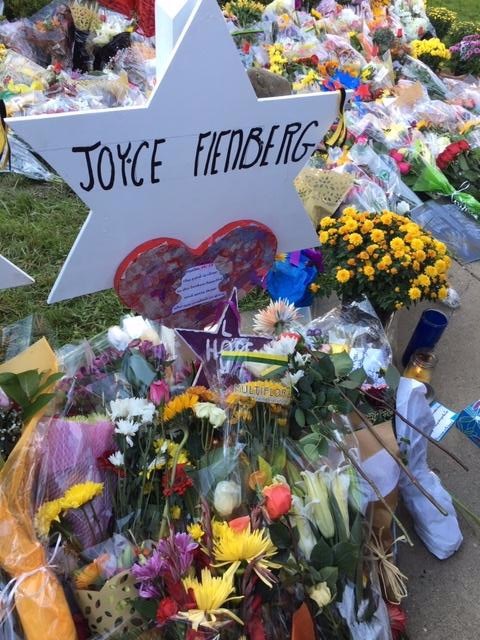 Then, as we got closer, we saw the bouquets of flowers, handwritten notes, and other small acts of condolence set next to wooden stars dug into the ground that display each victim’s name. A small group of people were sharing their wisdom with each other, singing, and showing to the world the power of unity. The enormity of these events taking place gives us the realization of how impactful such tragedies are, and how this affected not just our community, but the world at large. Sometimes we can learn things from fictional characters. I know it’s silly and I am aware that it can be classified as excessive or childish, but sometimes the silly and childish things in life are the most pure. A lesson learned is one more bit of wisdom to give around. All of the Jewish people are responsible for one another. We all need to take one another into account and help and assist those in need. One may then ask, ‘but how can one have so much responsibility and bear the weight on an entire nation on their shoulders’? An answer comes from a fictional source. Many attribute this quote to Spiderman, AKA Peter Parker, a fictional superhero in the Marvel universe. However, this is not entirely true. It was his uncle, Ben Parker, who said these words. If Peter took these words to heart, making them his motto and the words ones you could recognize him by, what can we learn from this? We all have a power within us, but that power needs motivation. We need something to be responsible for to use our power. Hitherto we can take our previous quotation, and become responsible for each other. We can create a drive within us, and we need to find the right way to conduct our power through our responsibility. Another point here, is that Ben Parker was killed in front of Peter. He said these words to his nephew even as he passed on, and we can take this lesson to live by as well: learn from others, and take other’s ambitions and morals and make them your own. Create a memory for your friends, relatives, people you’ve never met, take who they were and imbue the good into yourself. Don’t allow others to fade away; take away the positivity they carried, and raise it for yourself. This is a huge power we all can hold. We all have the power to grow and change, we all have the power to make a remembrance to those lost and gone. By taking their words and using them as a code to live by, we also are letting their spirit live on in our hearts and in our actions. This is how we are responsible for one another. Not only for the living, but this could be interpreted as a way to do a chesed shel emet , a true kindness, doing something that cannot be repaid, for the dead. We all have the power to pull positivity and goodness into who we are, be it from those in this world or from those who have moved on. The only question is if we can hold the responsibility to do just that, and if we can take this power for ourselves. I believe that we all, every single one of us, from young to old, no matter how religious or pious, have the responsibility to bear this power, and that we all have the ability to wield it. Condolences to the friends and families who had lost members on Shabbat. It is my deepest hope that such an atrocity should never happen again, and my heartfelt wish that it never did. 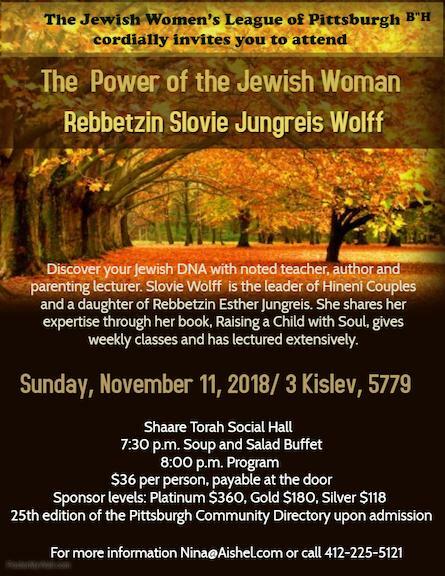 Last Shabbat, a 46 year-old “man” named Robert Bowers walked into the Tree of Life synagogue and murdered eleven people. Eleven Jews. These Jews were our brothers and sisters because it doesn’t matter whether you are part of the Orthodox, Conservative, Reconstructionist, or Reform movement; whether you go to Shaare Torah, Poale Zedeck, Dor Chadash, New Light, or Tree of Life — we are all part of the same family. We are all Bnei Israel, the sons of Israel (Jacob). Robert Bowers is a monster who stole our neighbors from us. He stole their life. He brutally murdered eleven innocent Jews. Eleven innocent souls. These people did not deserve to die that way. Their only crime was to come to the Synagogue and pray to G-D. These people deserved to live! Many people have felt angry, confused, shocked, or just sad. Feeling that way is very normal after such a tragedy. However, we have to look beyond the darkness that overshadows us after these acts of terrorism. We have to find the light in the dark. We have to move forward, and learn from those events. We have to keep on living for those who didn’t have the chance to live because life was brutally taken from them. We have to understand that every day we live is a gift from Hashem, and that we need to make the most out of each and every day. We cannot and must not let these events slow us down, or stop us from doing things. Life is too short to slow down. Together and with the help of Hashem we will get through this. We need to be there for each other. Eighty years ago, on the nights of November 9th to November 10th 1938, German Nazis burned and vandalized Synagogues and Jewish schools, killing close to 100 Jews. That night, 30,000 Jews were deported to concentration camps. This is also known as Kristallnacht, or the “Night of Broken Glass.” One of the differences between then and now is that now we know we have a Jewish state that supports us. We have Eretz Israel. 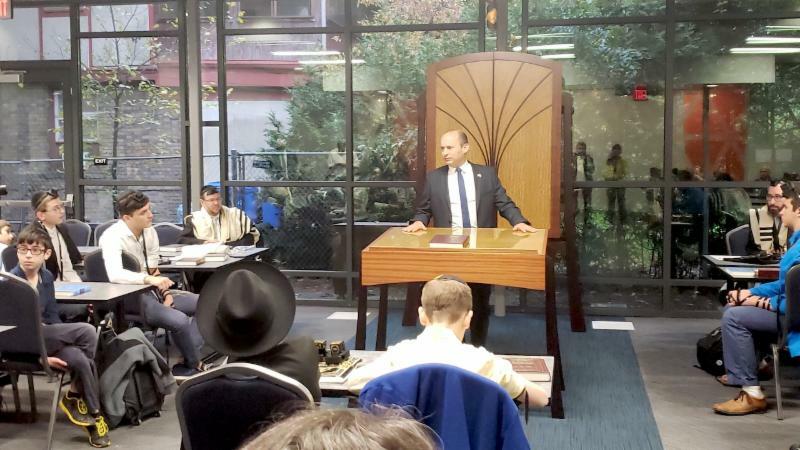 On Monday, Naftali Bennett came to school to show his support on behalf of the Israeli government. Nowadays, Jews are spread out around the globe. However, there is one thing that unites us, and that is our land; Eretz Israel. Jews have been persecuted for 2,000 years, and after each massacre, after each pogrom, after the Inquisition, after the Holocaust, after every terrorist attack, Jews got back up because that is who we are. We are warriors. We are brave. We will not let these act of terrorism terrorize us. We might be sad, but we will not be scared. We also need to understand that there are people protecting us and caring for us. 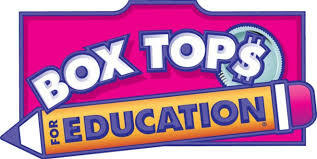 Our parents and teachers are a great example of that. They care and protect us. But then there are the men and women whom we don’t thank enough. These men and women protect us every day. These men and women are the police. 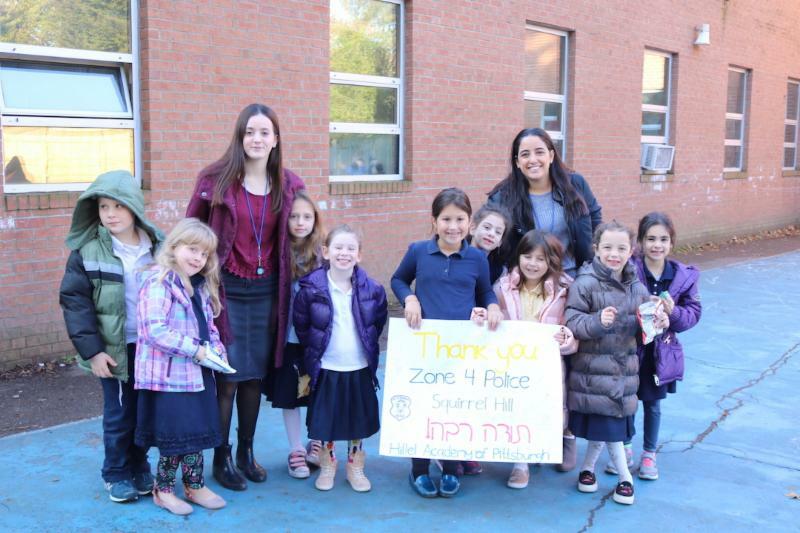 They are here to protect us, and what they did on Shabbat was heroic. May G-d help the wounded officers to recover as quickly as possible. We have all heard of the terrorist attacks in Israel, in France, and all around the world, but on Shabbat it felt different. This “man,” Robert Bowers, attacked our neighborhood. He attacked our friends, our neighbors. This attack happened in Pittsburgh. 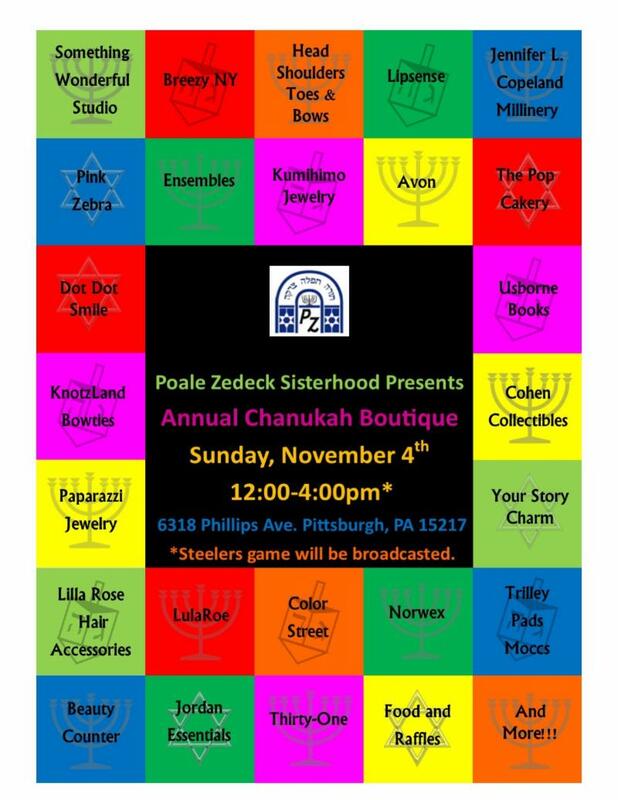 It happened in Squirrel Hill. The people who were murdered and wounded were people that we knew. People that we would meet in the street. One of the wounded, Daniel Leger, is a neighbor of our school. Our neighbor was shot at! May G-d send him a full and speedy recovery. The faces that we shall no longer see reflected pure souls, generous hearts, open hands, living in a friendly, quiet city, a haven that could teach a lot to a broken world. Bernice Simon , Sylvan Symon , Melvin Wax , Daniel Stein , Irving Younger , Rose Mallinger , Jerry Rabinowitz , Joyce Fienberg , Richard Gottfried , Cecil Rosenthal , and David Rosenthal ; you will forever be in our hearts and memory. 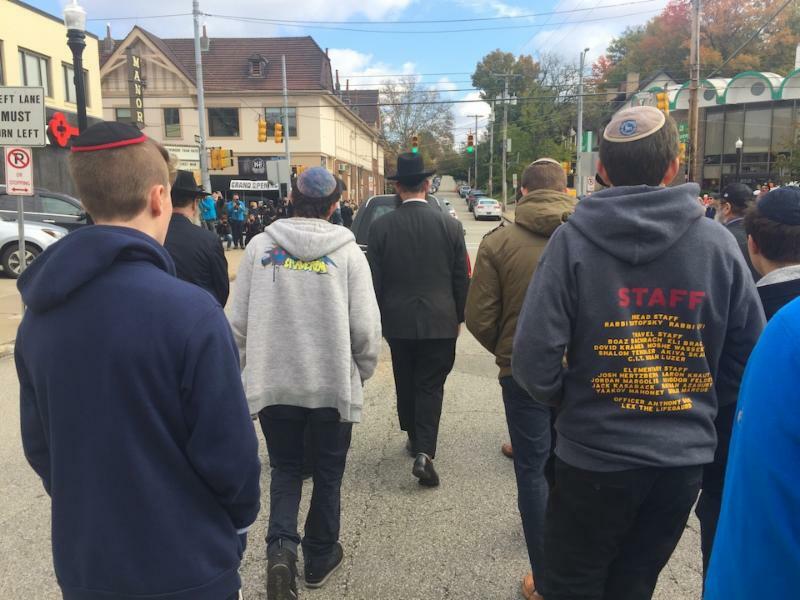 Rabbi Smith and the High School Boys davened at Tree Of Life. Their presence was captured by major news outlets who were also gathered at the scene. High School Boys follow the casket of Dr. Jerry Rabinowitz after his funeral service at the JCC. 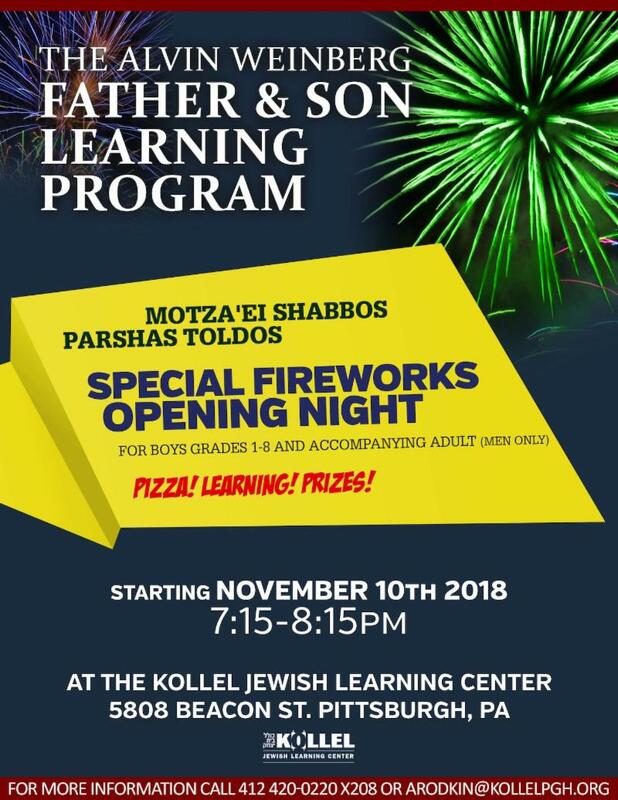 It all started on Shabbos. Nate had gone up and started reading from the Torah and all of us were excited — after all it was the first Bar Mitzvah of the year. But then in the middle of the reading we heard a siren; nothing unusual. Then another came, and another. What's going on? I hope nothing bad happened, was the thought of many in the room. 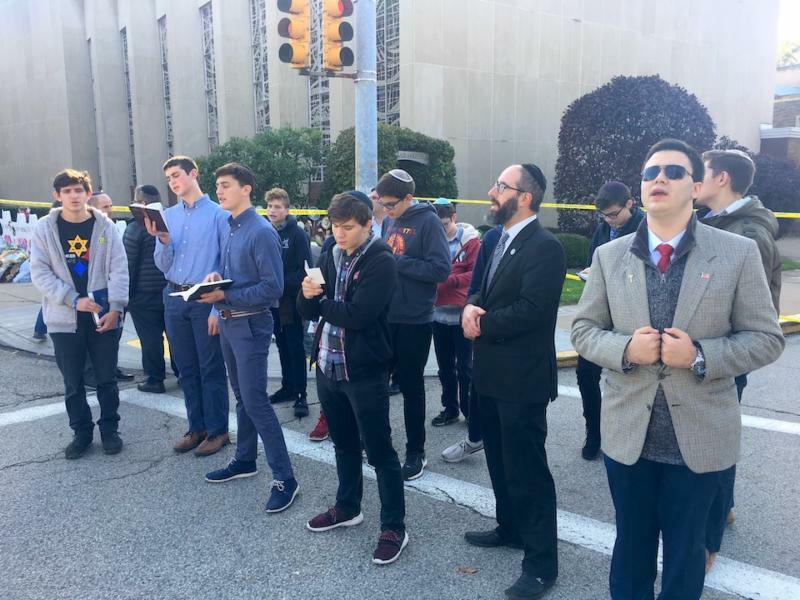 At the beginning of the fifth aliyah before Nate started reading, Rabbi Wasserman got up and made an announcement: “There was a shooting at Tree of Life — we don't know anything else but we’re going on lockdown. Don’t get your kids, group rooms are locked.” My friend next to me was freaking out and we were all confused. To calm down him and myself I said “Say Tehillim,” so we said Tehillim for the rest of Torah reading. The rest of the day was a bit of a blur, with more announcements, fear, rumors and confusion. What I learned from that day was that there were about 100 people in the building, and 11 were killed. But as the Gemara in Sanhedrin says, “one who killed a person it’s like he killed a whole world,” so 11 worlds were destroyed that day. But, it also says “one who saves a person it’s like he saved the whole world,” so 89 worlds were saved that day. All of the Jewish world and even the non- Jewish world were united by this. 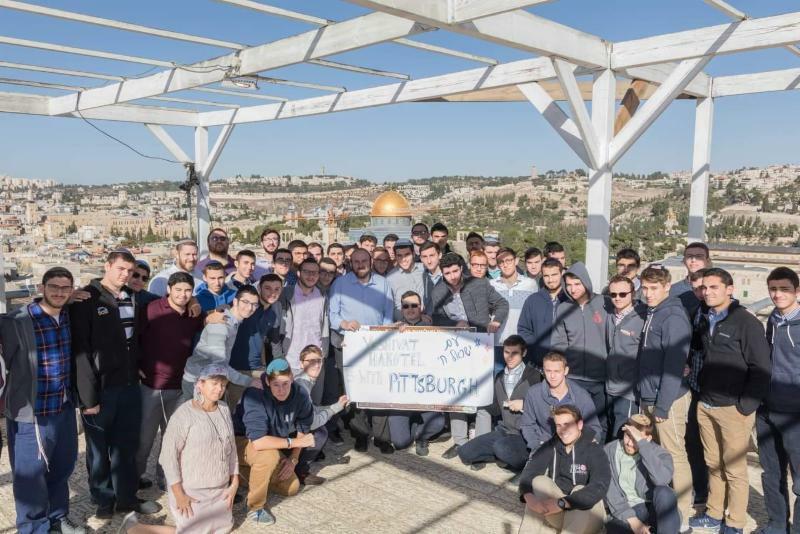 At the center of the Jewish World at Yeshivat Hakotel opposite the Har Habayit we stand together with and care for the Jews of Pittsburgh and those all over the world! We have all heard about the attack that happened over the weekend. It was a murder and a hate crime, as all Jews around the world have heard. Tears dripping down, 11 dead 6 injured. “Witnesses have heard as many as 30 shots” says the Intelligencer magazine. Most have mixed emotions: sad, angry, and scared. Some have come to accept that what happened happened and that nothing will change it. Some are grieving over loss, living in pain, not knowing what to do. Some may think that it is just another attack — but is it really? There is emotional, mental, spiritual, and physical pain felt by all Jews. 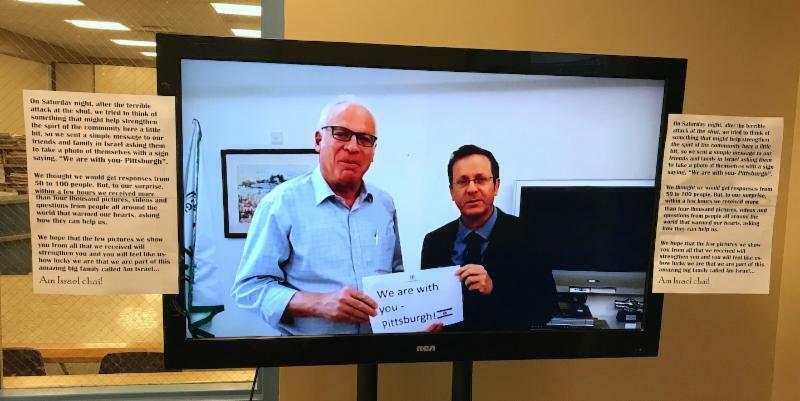 Jews around the world crying, mourning and grieving for us. Some may be thinking how will they move on; what will happen next ? Buildings on lockdown all around, kids and terrified adults holding their children close. Some kids didn’t even understand what was happening. We thought we would get responses from 10 – 100 people. But, to our surprise, within a few hours we received more than 4000 pictures, videos, and questions from people all around the world that warmed our hearts, asking how they can help us. We hope that the few pictures we show you from all that we received will strengthen you and you will feel like us — how lucky we are that we are part of this amazing big family called Am Israel…. 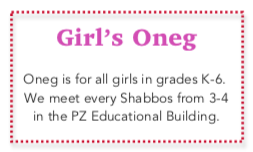 This past Shabbos, I had planned on having our girls high school students over for lunch. 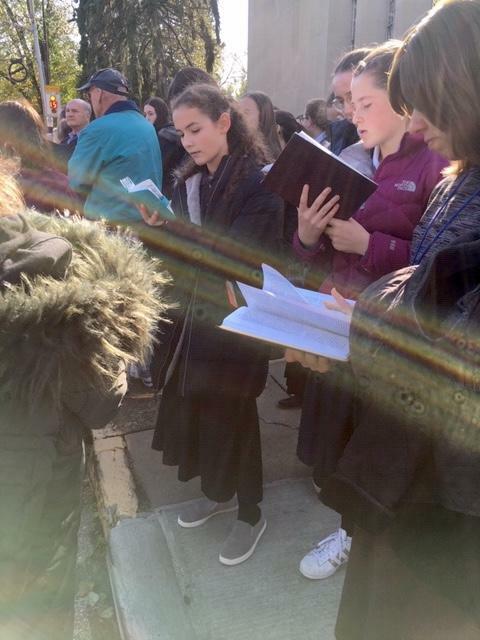 It was the annual Shabbos Project weekend where Jewish communities around the world try to have as many people observe Shabbos as possible, and I thought it would be nice to spend it with my students. 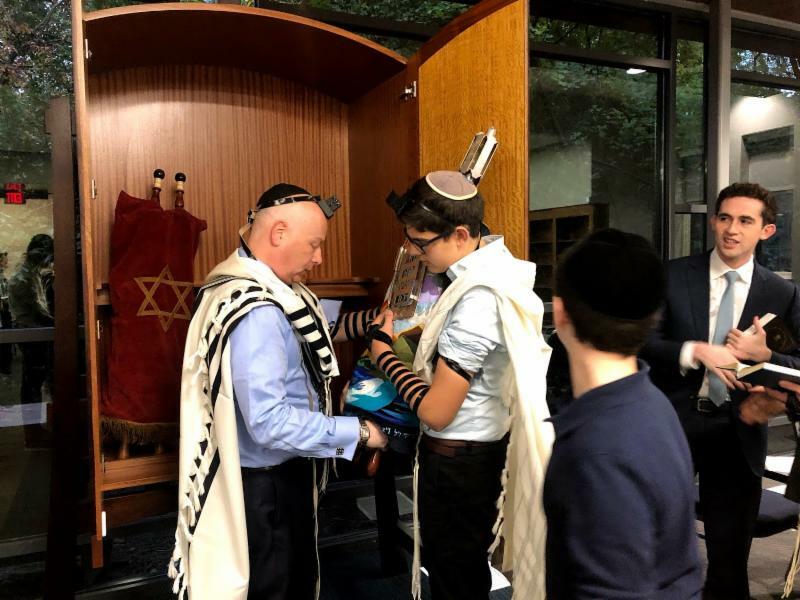 That morning, I was busy getting my house ready for the lunch, while simultaneously getting my kids dressed and ready to get out of the door to attend the Bar Mitzvah of the son of friend. I was frustrated that we were late, and was also tending to my oldest daughter who wasn't feeling well. I decided to let her stay home while I left with my four younger kids to walk to Shul. We left at around 10:30 and on our way started to see lots of police cars and ambulances zoom down the street. It wasn’t until I saw the SWAT vans that I started to wonder what was going on. My kids (especially my little boys) were fascinated by the trucks and we were mostly focusing on watching them and only slightly speculating about was happening — until a pedestrian on the street told us that there was a shooter on the loose and that there had just been an attack on the Tree of Life congregation a few blocks away. He told us very emphatically to get into the nearest building as soon as possible. Luckily we were very close to the Shul and went quickly inside. At the door, we were greeted by several men from the Shul who told us to go straight upstairs to the sanctuary because there was a lockdown in process. I don’t know what my kids were processing at the time, but I was very scared — especially since I had left my oldest home alone. I asked them if I should go back and get her and they said no - that the safest place was to be inside right now — but that did not give me much comfort at the time. 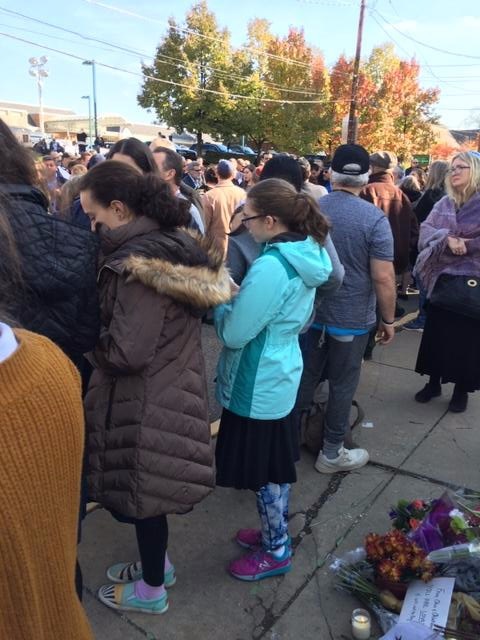 Once I got to the Shul, there were many teary-eyed people, but most were in Shul listening to the Bar Mitzvah boy, who never lost focus and led a beautiful service. Every couple of minutes, we got an update from the Rabbi — until we were finally told that the shooter was apprehended and that there were many fatalities. Since it was Shabbos, we couldn’t check our phones or the news. So we kept on going. Luckily my daughter in bed had no idea what was going on until we got home and told her. I still had the girls for lunch and we spoke about what happened — mainly in the context that nothing and nobody can ever take Shabbos away from us; that we were like Avraham and Sarah from the Parsha opening our homes up to guests and that all we could do at that point was pray. We were actually lucky to have a few hours of calm before the storm of the news that came after Shabbos. Once my students left, we spent the rest of the day together as a family as we didn’t let our kids go to friends houses as we usually do because we wanted them as close by as possible. Once Shabbos ended, the phone calls and news started pouring in. We were addicted to our phones trying to find out as much info as possible. Did we know anybody killed? Who was the killer? We got a call from my dear dear friend who couldn't find her aunt who usually attends that synagogue...we got calls from petrified family members...we got another call from my friend confirming that her aunt was one of the victims...needless to say, we didn't sleep well that night. The next day, Sunday, was a blur. Everything seemed foggy. We saw the list of the victims and recognized several — one as a neighbor, the other a doctor that Itamar worked with. We went through the day as normally as possible — errands, school work, studying, Steelers game, etc. We decided not to go to the community interfaith vigil and instead preserve our energy and be home for our kids. The main concern on my mind was how school was going to be the next day. I met with my colleagues Sunday night to come up with some semblance of a game plan. 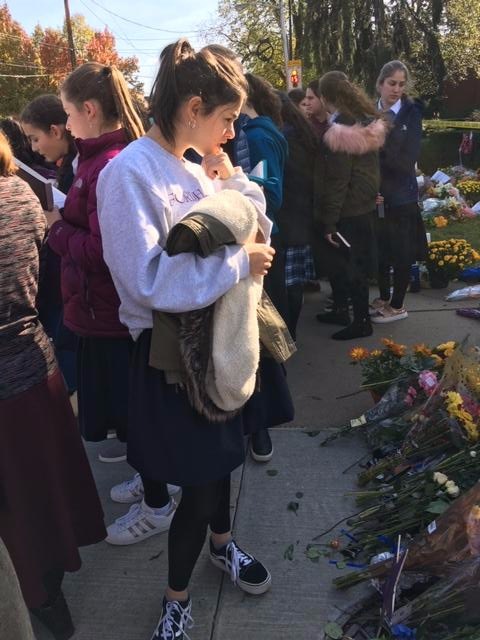 Monday at school, we tried to keep the routine as normal as possible, while debriefing with the students about what happened and praying for the victims and wounded. 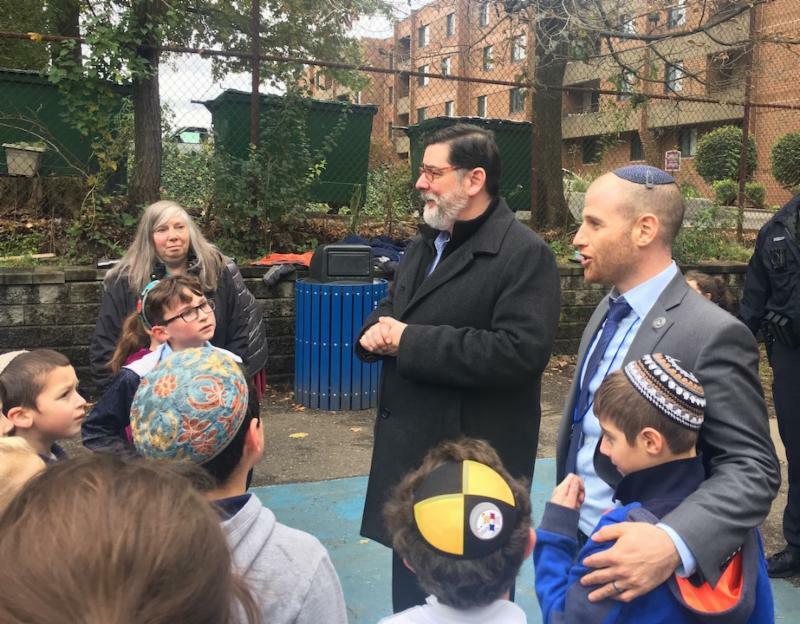 The day was hardly normal in reality with visits from lots of politicians including Naftali Bennet, Jason Greenblatt, the mayor of Pittsburgh, etc and phone calls from several schools and organizations offering to come and help. I ran around the whole day without stopping, trying to make sure the students were OK and that we were sending the right message — we need to mourn, but without creating an atmosphere of fear and panic among the students. 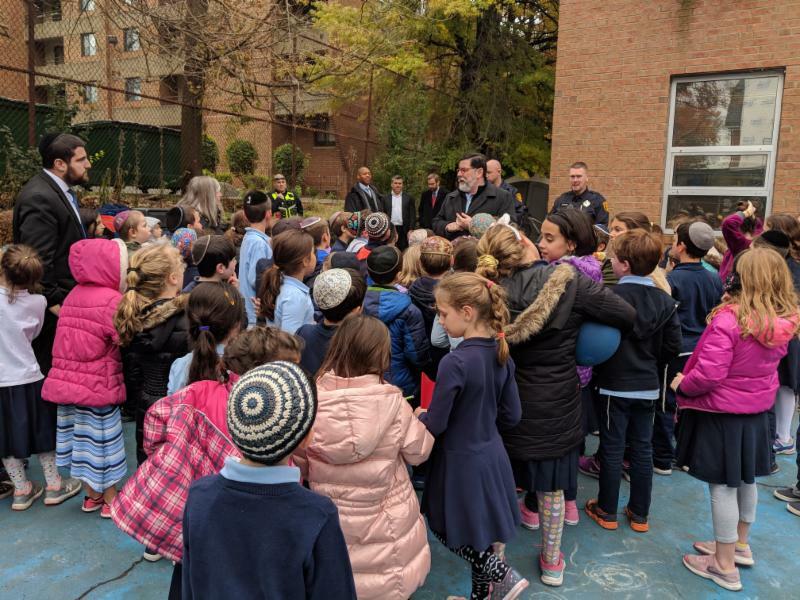 Our school has been in constant contact with organizations like Chai Lifeline, who handle crises like this, and local mental health specialists. Additionally, the building was also surrounded by cops which was both comforting and eerie. 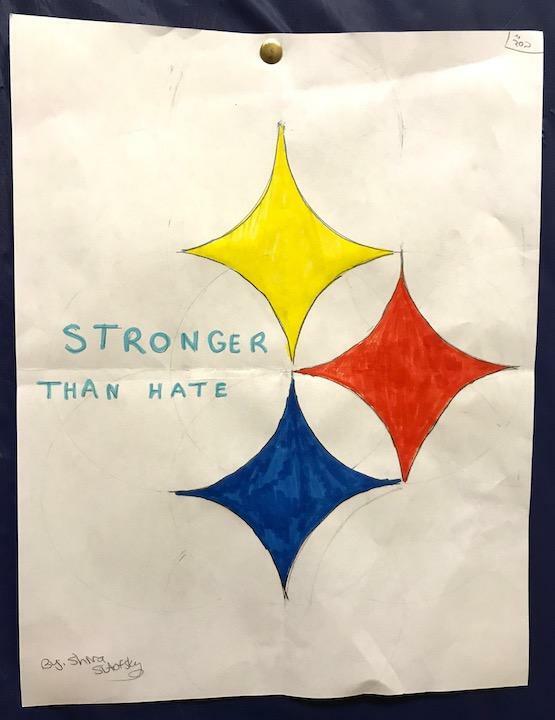 Here in Pittsburgh, the new hashtag is #Pittsburghstrong. We are the steel city. Nothing can break us. The beautiful neighborhood of Mr. Rogers. I have lived here for almost 14 years and have never felt prouder to be a Yinzer. 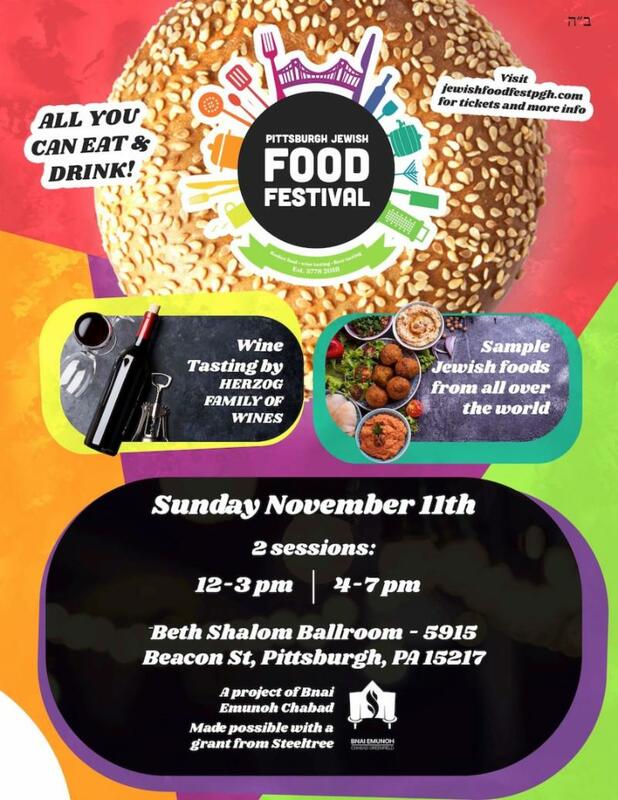 The community has come together — Jewish and Non- Jewish alike. Everyone is helping each other out and nobody is leaving each other’s side. I have also never felt prouder to be a Jew. Around the world people are thinking of us and helping us and praying for us — exactly what we would do if something happened in a different place. The Jewish people is like one body — when one part gets hurt, the whole body needs to help it heal. We never wanted to get hurt, and hope to never ever again, but thank you for helping us heal. 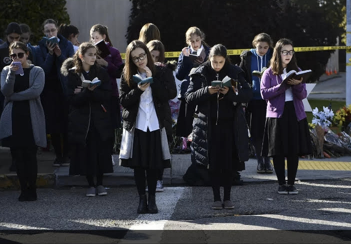 We are going to start new Torah learning and Chesed initiatives in our school as way to combat and repair what happened. We will try to squeeze at least a tiny bit of good out of the terribleness that happened. If you have not yet picked up your calendar, please do so from the main office. Thank you!